The absurdity of the various alleged extermination methods does not in itself prove that the holocaust did not happen, but it should at least persuade reasonable people to ask for some other evidence before they let themselves believe such a monstrous tale. The fact that other evidence such as documents ordering the killing of Jews with gas, or hard, physical evidence such as workable gas chambers — not just ordinary rooms that have been mislabelled — is also absent should make it quite obvious that something is seriously wrong. The table below is from The Destruction of the European Jews by Raul Hilberg, published in 1961. The table summarizes the views of practically all the generally accepted, "consensus," writers on the holocaust story of the last 20 years. The camps listed are the only ones which Hilberg regarded as having been "extermination" camps. Camps such as Dachau, Bergen-Belsen, and Buchenwald are not included. For at least several months in 1939 and 1940, Diesel engines had supposedly been used as part of the euthanasia program to kill Germans who were feebleminded or incurably ill in Germany, The experience gained from the use of Diesels for euthanasia was supposedly applied later by some of the same people involved with the euthanasia program, such as Reichsamtsleiter Viktor Brack and Kriminalkommisar Christian Wirth, to the killing of Jews in Treblinka, Belzec and Sobibor in Eastern Poland. According to Hilberg, it was Wirth who supposedly constructed the "carbon monoxide gas chambers" for the euthanasia program on the orders of Brack, who was "actually in charge of the [euthanasia] operation." Then in the spring of 1942 Brack ordered Wirth to Lublin where "Wirth and his crew immediately and under primitive conditions began to construct chambers into which they piped carbon monoxide from diesel motors." In the National Broadcasting Corporation's "Holocaust" miniseries for television, which was essentially a dramatization of the generally accepted holocaust story, there were several references to the use of Diesel engines for mass-murder. In one scene, Dr. Bruno Tesch, who in real life had been a highly qualified chemist and was hanged after the war by the Allies, explains to Eric Dorf, a fictional SS officer administering the extermination program, that one of the advantages of Zyklon B over carbon monoxide is that Zyklon B "won't clog machinery-and there's no apparatus to break down, as in carbon monoxide." In another scene Rudolf Höss, the commandant of Auschwitz, is about to start a Diesel when Eric Dorf explains to him that he will not need the Diesel anymore because he has ordered another substance, namely Zyklon B. The text which follows is a portion of the Gerstein statement as given in the English translation of Harvest of Hate by Leon Poliakov. Aside from a rather brazen "error" on the part of Poliakov, namely the claim that 700 to 800 bodies were crowded into 93 square meters instead of only 25 square meters (which is the way the original documents actually read) it is probably no worse a translation than any of the other versions which can be found. SS men pushed the men into the chambers. "Fill it up," Wirth ordered, 700-800 people in 93 [sic] square meters. The doors closed. Then I understood the reason for the "Heckenholt" sign. Heckenholt was the driver of the Diesel, whose exhaust was to kill these poor unfortunates. SS Unterscharführer Heckenholt tried to start the motor. It wouldn't start! Captain Wirth came up. You could see he was afraid because I was there to see the disaster. Yes, I saw everything and waited. My stopwatch clocked it all: 50 minutes, 70 minutes, and the Diesel still would not start! The men were waiting in the gas chambers. You could hear them weeping "as though in a synagogue," said Professor Pfannenstiel, his eyes glued to the window in the wooden door. Captain Wirth, furious, struck with his whip the Ukrainian who helped Heckenholt- The Diesel started up after 2 hours and 49 minutes, by my stopwatch. Twenty-five minutes passed. You could see through the window that many were already dead, for an electric light illuminated the interior of the room. All were dead after thirty-two minutes! Jewish workers on the other side opened the wooden doors. They had been promised their lives in return for doing this horrible work, plus a small percentage of the money and valuables collected. The men were still standing, like columns of stone, with no room to fall or lean. Even in death you could tell the families, all holding hands. It was difficult to separate them while emptying the room for the next batch. The bodies were tossed out, blue, wet with sweat and urine, the legs smeared with excrement and menstrual blood. It was not a peephole through which Prof. Pfannenstiel supposedly looked into the gas chamber-it was a window. And it was a window in a wooden door-not a steel, gas-tight door as one might expect. Apparently, there were wooden doors on two sides of at least one of the gas chambers. We are told that the intended victims were still alive after almost three hours in the gas chambers before the Diesel even started. Surely, there must have been many air leaks into the chambers or else the Jews would have been asphyxiated without the aid of any Diesel. The men were "standing, like columns of stone with no room to fall or lean. Even in death you could tell the families, all holding hands." There is no mention anywhere of the intended victims trying to break out. Surely Prof. Pfannenstiel, with "his eyes glued to the window," would have noticed if some of the people on the other side had been trying to smash through. But no, there is no mention of anything of the sort. We are, however, told that the victims had enough presence of mind to form groups of family members and hold hands. According to the last sentence of the text quoted, "the bodies were tossed out blue, wet with sweat and urine." Here we have a flaw as far as the death-from-carbon-monoxide theory is concerned because victims of carbon monoxide poisoning are not blue at all. On the contrary, victims of carbon monoxide poisoning are a distinctive "cherry red," or "pink." This is clearly stated in most toxicology handbooks and is probably well known to every doctor and to most, if not all, emergency medical personnel. Carbon monoxide poisoning is actually very common because of the automobile and accounts for more incidents of poison gas injury than all other gases combined. According to Leon Poliakov, who is a French-Jewish historian and one of the few historians anywhere who has actually written at any length in support of the holocaust story, "there is little to add to this description [the Gerstein statement] which holds good for Treblinka, Sobibor as well as for the Belzec camp. The latter installations were constructed in almost the same way and also used the exhaust carbon monoxide gases from Diesel motors as death agents." According to Poliakov, more than a million and a half people were killed with Diesel exhaust. 100 0.01% Concentration allowable for an exposure of several hours. 400 to 500 0.04%-0.05% Concentration which can be inhaled for 1 hour without appreciate effect. 600 to 700 0.06%-0.07% Concentration causing a just appreciable effect after exposure of 1 hour. 1,000 to 1,200 0.10%-0.12% Concentration causing unpleasant but not dangerous effects after exposure of 1 hour. 1,500 to 2.000 .1 5%-.2% Dangerous concentrations for exposure of 1 hour. 4,000 and above .4% and above Concentrations which are fatal in exposure of less than 1 hour. Carbon monoxide poisoning has been thoroughly studied since about 1920, when it was carefully examined in order to determine the ventilation requirements of tunnels for motor vehicles, particularly for the New York City metropolitan area in such tunnels as the Holland Tunnel. Since the early 1940s, it has been widely accepted on the basis of the research of Yandell Henderson and J.S. Haldane that an average carbon monoxide concentration of "0.4% and above," as shown on the last fine of Table 2, is the amount needed to kill people in "less" than one hour of continuous exposure. Concentrations of 0.15% to 0.20% are considered "dangerous," which means they might kill some people in one hour, especially if those people have, for example, weak hearts. But in order to commit mass-murder in a gas chamber, one would require a concentration of poison gas sufficient to kill not merely a "portion" of any given group of people, but rather, sufficient to kill "all." The vagueness introduced by Henderson's use of the term "less" is unfortunate. It arises from the fact that although Henderson and others were able to test for non-lethal effects in a laboratory with a high degree of accuracy — the lethal effects could not be tested in the same way. The lethal effects and the corresponding CO levels were determined on the basis of careful extrapolation of carboxyhemoglobin levels over time from nonlethal tests on humans and from some lethal tests on animals. Although the test results for lethal effects are not as precise as one might wish, they are nonetheless sufficiently accurate to support some important conclusions about Diesel gas chambers. In other words, for any given toxic effect, the poisonous concentration must be inversely proportional to the time of exposure. This means that to kill in half an hour, one would need twice the concentration that one would need to kill in a full hour. Applying this rule to the "0.4% and above" needed to kill in "less than one hour," we get 0.8% and above as the concentration needed to kill in less than half an hour. Figure 1: toxic effects of low levels of carbon monoxide. Figure 1 gives the symptoms of various low level carbon monoxide exposures as a function of time of exposure. The highest CO concentration which is discussed is 600 ppm (parts per million). 600 ppm is another way of saying 0.06%. The chart shows that after one hour of exposure to an average concentration of 600 ppm of CO, one would experience a headache but not a throbbing headache. Even after 100 hours of exposure, the worst that one would experience would be a coma but not death. However, after only half an hour of exposure to 600 ppm, no symptoms are indicated at all-not even a mild headache. We should keep "0.06%" in mind as another benchmark number to which we will refer. It would have been helpful if the holocaust proponents had provided such data as the engine manufacturer's name or the model number, size and HP rating of the engines. Although similar information would be considered essential in the investigation of any ordinary murder, alas, when one is dealing with holocaust such details are too much to expect. The most frequent claim seems to have been that the engines were Diesels from Soviet tanks (most Soviet tanks during the war were Diesel-driven, including the famous T-34), but it has recently been claimed that at least one of the engines was from a Soviet submarine. Any submarine engine would certainly have been a Diesel also. In lieu of better information, one has to investigate the broader and more difficult question of whether or not any Diesel ever built could possibly have done the abominable deed. Another peculiarity of Diesels is that when in operation they usually give warning of their presence-their exhaust generally smells terrible. The intensity of the smell or stench has, no doubt, given rise to the thoroughly false impression that Diesel exhaust must therefore be very harmful. Figure 2: Comparison of carbon monoxide emissions from Diesel and gasoline engines. Carbon monoxide emissions from internal combustion engines are commonly plotted as functions of air/fuel ratio or fuel/air ratio. Fuel/air ratio is merely the reciprocal of air/fuel ratio. It has generally been accepted by the auto industry and by environmentalists that Diesel exhaust-gas composition is related chiefly to these ratios and not to other factors such as rpm. Figure 3: Carbon monoxide emissions for pre-combustion chamber and turbulent cell Diesel engines. The heavy vertical line at a fuel:air ratio of 0.055 has been added by the author. Figure 3 shows a pair of emission curves for Diesels with divided combustion chambers that were the result of exceptionally careful and extensive tests made in the early 1940s in the United States by the U.S. Bureau of Mines to determine whether or not Diesel engines could operate in underground mines without endangering miners. The conclusion of the- U.S. Bureau of Mines as stated in many reports throughout the intervening years has always been that Diesels may operate underground in non-coal mines subject to USBM approval of the engines and the mechanical arrangements in which the engines are employed. The lower curve in Figure 3 is for a precombustion chamber Diesel. The upper curve is for a turbulent cell Diesel. The lowest fuel/air ratio always corresponds approximately to idle and also to a no-load condition. For the pre-combustion chamber Diesel at idle, the carbon monoxide level is less than 0.0211%. For the turbulent cell Diesel at idle, its carbon monoxide level is barely 0.06%. What this means is that at idle both of these types of Diesels could not produce enough carbon monoxide to even give a headache after half an hour of continuous exposure. One characteristic of Diesels is that they tend to smoke. This is not due to any inherent inefficiency of Diesels. On the contrary, Diesels are as a rule extremely efficient. The smoke is primarily the result of the nature of Diesel combustion and the heavier fuels which are used as compared with gasoline engines. Operating any Diesel under any substantial load, regardless of the particular design or engine type, would have led to the production of significant amounts of smoke. Smoke is generally also noticeable immediately after start-up, even at idle or under light load, when the engine has not yet had time to reach its normal operating temperature. It should be no great surprise that there is no mention of any smoke from the Diesel-black, white, dense or otherwise-anywhere in the Gerstein statement or in any of the postwar trial testimony\. Figure 4: Liquid and solid components of Diesel smoke. Figure 5: Carbon monoxide emissions from undivided chamber Diesel engines. The heavy vertical line at a fuel:air ratio of 0.055 has been added by the author. The problem for this engine, and for all Diesels, is that to operate at full load continuously for long periods, such as half an hour at a time, would involve severe risks of fouling and damage from accumulated solids inside the cylinders. If operating at lower and safer fuel/air ratios than 0.055, which would also be lower loads, the carbon monoxide emission levels drop very dramatically. For example, at 80% of full -load, which is generally regarded as a safe maximum for continuous operation and which occurs at a fuel/air ratio of about 0.045, the carbon monoxide level is only 0.13%. According to Henderson's rule and index figures and some simple calculation, 0.13% carbon monoxide would not even be "dangerous" for half an hour of exposure. Aside from the smoke problem, merely to impose a full load on any engine is far from easy. For example, if one has a truck, a full load can be imposed on the engine by first filling the truck with a heavy cargo and then racing the vehicle up a steep hill at maximum speed with the accelerator to the floor. Under that condition one would probably be putting out about 0.40/o from the exhaust pipe if the truck's engine were an undivided chamber Diesel. However, if the truck is parked in a driveway, it is far more difficult to impose a full load on the engine. Simply "racing" the engine with the transmission in neutral" will put no more than a few per cent of load on the engine. Letting the clutch slip and stepping on the accelerator may impose a somewhat greater load on the engine but the clutch will rapidly burn out, jacking up the rear end of the vehicle and applying the brakes while racing the engine will impose a somewhat greater load but the brake linings will rapidly burn out. A generator arrangement seems more plausible since places such as Treblinka and Belzec would have needed electricity, even if only to keep the barbed wire charged and the lights burning. However, such an arrangement suggests a continuous operation of both the generator and the Diesel which is contrary to the Gerstein statement. According to that statement, the engine was unable even to start for almost three hours prior to the actual gassing. There is nothing in the statement to even remotely suggest that the engine served any other purpose than to kill Jews. If it had had a dual purpose, for example, to also drive a generator, one could have expected some comment about the lights going on as the Diesel started-but there is nothing of the sort. There are other pollutants in Diesel exhaust besides carbon monoxide. These are aldehydes, nitrous oxides, and hydrocarbons, which are indeed harmful. The smell or stench for which Diesels are notorious is not caused by carbon monoxide-carbon monoxide is completely odorless. The smell is caused by trace amounts of certain hydrocarbons and aldehydes which the most modern analytical instruments can just barely identify, let alone measure. The sensitivity of the human nose to these compounds is, however, extremely high and out of all proportion to the actual quantities present. Figure 6: Exhaust gas constituents of internal combustion engines. The heavy vertical line at a fuel:air ratio of 0.055 has been added by the author. Normal air contains 21% oxygen. In Figure 6 we see that the oxygen concentration corresponding to idle in the exhaust of any Diesel (divided or undivided chamber), shown near the top of the chart at a fuel/air ratio of 0.01, is 18%, which is just a few per cent less than one finds in normal air. At full load, which corresponds to a fuel/air ratio of 0.055, the oxygen concentration in the exhaust of any Diesel is 4%. Fourth Stage. When the oxygen is diminished below 6 per cent, respiration consists of gasps separated by apneas of increasing duration. Convulsive movements may occur. Then the breathing stops, but the heart may continue to beat for a few minutes and then develop ventricular fibrillation, or stand still in extreme dilation. According to Haidane and Priestley, "air containing less than 9.5 per cent of oxygen would ordinarily cause disablement within half an hour." Disablement is still not death. Carbon dioxide can be beneficial and therapeutic. It is commonly used in clinical medicine as a harmless stimulant for respiration, for which purpose it is supplied under pressure in cylinders (Carbogen) containing oxygen and 7% carbon dioxide. Normally, when a person exhales, the air leaving the lungs contains about 5.5% carbon dioxide. Levels of 3% carbon dioxide are quite tolerable for exposures lasting several days. For example, in the 1950s the U.S. Navy experimented with gas mixtures containing 3% carbon dioxide and 15% oxygen, i.e., 25% less oxygen than in normal air, for use in American submarines with exposures lasting up to several weeks. If the exhaust pipe from a Diesel engine is connected to a gas chamber, the carbon monoxide concentration will initially be extremely low and the oxygen level will initially be high. (Since the doors of a gas chamber must be opened to allow the intended victims to enter, fresh air must enter the chamber also.) As soon as the Diesel starts and as more and more Diesel exhaust is introduced into the chamber, the carbon monoxide concentration will gradually rise to the level directly inside the exhaust pipe of the Diesel engine without ever being able to exceed that level. Exactly how long it would take before the oxygen and carbon monoxide levels in the gas chamber equal the levels in the engine exhaust pipe is impossible to determine in the case of the Gerstein account because the information about the engine and gas chamber is so limited. To got a better idea as to how effective-or ineffective-a Diesel gas chamber such as that described by Gerstein might have been in practice, we can analyze the problem by dividing the half-hour into two periods: a period of "rising CO concentration" followed by a period of "constant CO concentration." Since we do not know the size or rpm of the engine, or the size of the chamber, or the amount of leakage into or out of the chamber, we cannot possibly determine the actual duration of each of these two periods. Nonetheless, we do know that when they are added together, the sum must equal half an hour. The combined average over the entire half-hour cannot be determined precisely because we simply do not know the duration of the "rising" and "constant" periods respectively. But we can be sure that it would always be some number less than 0.4%. If the "rising" period had only been of short duration, the combined average for half an hour would be only slightly less than 0.4%. If the "rising" period had been longer, the combined average would be lower. If the "rising" and "constant" periods had each lasted for fifteen minutes, the combined average concentration for the entire half hour would be less than 0.3%. According to our previous analysis of toxic effects, 0.3% of CO (for half an hour) is only "dangerous" which means that it could have killed no more than a portion of any group of intended victims. In any event, any Diesel ever built would have had to operate at a minimum of 1/4 of full load in order for the Diesel gas chamber to have been even marginally effective from any possible combination of toxic effects. If the 12 cylinder, V-type Diesel engine from a typical Soviet T-34 tank with a rated capacity of 500 HP had been mounted on the floor of a small building and had been operated for half an hour at more than 3/4 of full load, i.e., at more than 375 HP, the noise and vibration would have been at least as noteworthy and as wildly spectacular as the wailing of any Jews-and yet, there is no mention of any such noise or vibration in the Gerstein statement or in any of the postwar trial testimony. For any Diesel arrangement to have been even marginally effective for mass-murder would have required an exceptionally well-informed collection of individuals to know and do all that was necessary. They would have had to be familiar with the carbon monoxide and oxygen emission curves for their particular engine. Such information is probably not known even today by most engineers, despite all the popular concern over air pollution. The gas chamber designers would also have had to know how to impose and maintain an engine load of more than 3/4 of full load on their engine since anything less would just not have been enough. If they had overloaded the engine or operated it for too long at or near full load (more than 80% of full load is generally considered unsafe for continuous operation), they might after each gassing have had to overhaul and, perhaps, replace the engine because of fouling and damage from engine smoke. Merely to gather and properly assemble the appropriate equipment, including the equipment for imposing and controlling an artificial load, would have been a major undertaking which would have required the expertise of experienced engineers, not just ordinary auto mechanics. The mounting of the engine on the floor of the building would have required a proper foundation with some provision to isolate vibrations so as to avoid tearing the building apart. 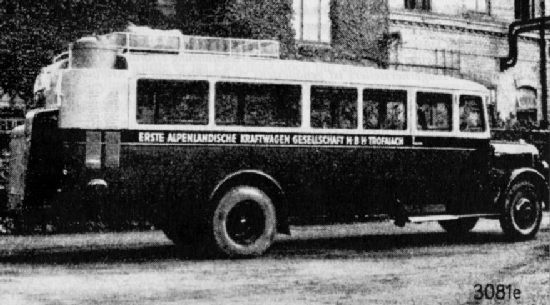 Figure 7: A typical gaswagon which had originally been a conventional bus but which was subsequently retro-fitted with a gas-generator and a Saurer engine. In English-speaking countries, these vehicles were generally called "producer gas vehicles." However, they could just as appropriately have been called "poison gas vehicles" because that is precisely what they were-the gas which they produced was extremely poisonous. The operation of these vehicles required special safety procedures as well as special government approved training and licensing of the hundreds of thousands of drivers who drove these vehicles daily throughout most of the war in German-occupied Europe. In German-speaking parts of Europe, the producer gas vehicles were called "Gaswagen." If they burned wood, which most of them did, they were generally called "Holzgaswagen," which literally translated means "wood gas wagons." This is a small wood-burning gas generator, or "Holzgaskleingenerator." The abundance of the gaswagons throughout German-occupied Europe and the intensity with which the Germans were developing ever newer vehicles and applications of the producer gas technology is a fact which undermines the holocaust story in general. Had the Germans ever intended to commit moss-murder with carbon monoxide, they certainly would have employed the producer gas technology long before they would have ever used anything as idiotic as Diesel exhaust. Surely, Eichmann and the other "transportation experts" involved with the "final solution of the Jewish problem," which was to a great extent a transportation problem, would have been well aware of these vehicles and of their unique features. Surely, they would have used the "gaswagons" to kill the Jews had there ever been any intent to kill the Jews with poison gas. The gaswagons are not the "gas vans" which were allegedly used for mass-murder in Chelmno, and by the Einsatzgruppen in Russia, despite the fact that the terminology is identical in German. The murderous "gas vans" were, as can be seen in all of the "evidence" pertaining to the gas van story, conventional trucks which supposedly used "only" the exhaust of the engines as the killing agent. The basis of the "gas van" story is a strange document known as "PS-501" which is, in my opinion, a forgery based on an innocuous letter from SS Untersturmführer (First Lieutenant) Becker to SS Obersturmbannführer (Lieutenant Colonel) Walter Rauff, discussing some of the many problems that must have occurred with gaswagons. The letter was apparently rewritten and the text partially changed so as to give it a sinister meaning. A thorough analysis of the gaswagons and PS-501 is, however, beyond the scope of this article. In addition to the producer gas technology, the Germans had the world's most advanced coal gasification technology. One of the first steps in most of the coal gasification processes was to produce carbon monoxide from coal. The carbon monoxide could then be used either as a fuel or as an intermediate step in the synthesis of other products. Although it would be most convenient for the revisionist camp in the holocaust controversy to be able to say that mass-murder could not possibly have been committed with Diesel exhaust in half an hour, that simply cannot be said with total accuracy. It must be conceded that it would have been remotely possible to commit the deeds in question with Diesels. However, it would certainly have required an inordinate amount of expertise and determination and, for all their efforts, the would-be murderers would have had an arrangement which at best (worst?) would still have been only marginally effective at its morbid task. From a practical perspective the whole idea of perfecting a Diesel arrangement for such a purpose would have been contrary to all common sense. One is sometimes told in the Holocaust literature that the reason the Germans used gas chambers to murder the Jews was to avoid the emotional strain on soldiers who would have otherwise had to kill the Jews by shooting them by the thousands. It is suggested that the gas chamber method was more efficient somehow. No doubt, an efficient killing method could have been developed – but not with Diesel exhaust. From all the evidence we have seen regarding Diesel exhaust and its effects, a more hideously clumsy, and inefficient, method of committing mass-murder would be hard to imagine. Although it is conceivable that some deranged minds may have tried for a time to commit murder with Diesel exhaust, after a few tries it would have become apparent to even the most demented fiend that something better was needed. And yet, Christian Wirth supposedly asked Gerstein not to propose in Berlin any other kind of gas chamber. Supposedly, it was not just a few people who were killed with Diesel exhaust, but millions. To have used such a clumsy method to kill Jews, especially when far better methods were readily available, is incredible enough, but that the same clumsy method would have also been used by the Germans on their own people as part of a euthanasia program is even more incredible. Postscript: More Surprise to Come! A marvelous metamorphosis is already taking place in the holocaust story. Several leading holocaust proponents are now taking great pains to drop the Diesel claim and replace it with the view that the engines were not Diesels but conventional gasoline engines which simply burned Diesel fuel, presumably to make the engines more deadly than if they had only burned regular gasoline. This amazing transformation has appeared in a recent book in Germany entitled Nationalsozialistiche Massentoetungen durch Giftgas. The book was a joint project of 24 of the most eminent scholars on the subject, including such notables as Eugen Kogon, Hermann Langbeing, Adalbert Rueckerl, Gideon Hausner, Germaine Tillion and Georges Wellers. The book represents the current state of the art of holocaust mythomania and has already been recommended by the World Jewish Congress in London. The new, "revised" version of the holocaust says, in effect, that Gerstein and the others were mistaken when they had claimed that Diesels were used to kill Jews at Treblinka, Belzec and Sobibor. The claim now is that gasoline engines were used. The clumsy juggling of evidence which characterizes this book is exemplified by the fact that although the Gerstein statement refers to diesel engines four times, the portion of the Gerstein statement which is quoted in this supposedly definitive rebuttal of the revisionists does not mention Diesels at all, nor does it even describe the alleged killing process. For a description of the killing process that Gerstein supposedly witnessed, the book gives a piece of postwar testimony by Dr. Pfannenstiel in which there is also no mention of the use of Diesels, but only of the use of Diesel fuel in the engine. How one could possibly have operated a gasoline engine with Diesel fuel is, of course, left to the imagination. The fact is that any gasoline engine simply would not operate with Diesel fuel (and vice-versa). A fatal flaw in the new, non-Diesel, version is the retention of the recurrent claim that the corpses were "blue." Although any possible death from Diesel exhaust would have been due to lack of oxygen, which would in turn have caused a bluish appearance of the corpse, death from gasoline engine exhaust would "only" have been due to carbon monoxide and could "only" have caused a distinctive "cherry red" or "pink" appearance. Although Pfannenstiel's postwar testimony is generally less wild than the Gerstein statement, nonetheless he and other "eyewitnesses" also repeated the claim that the corpses were "blue"
The new "revised" version of the holocaust story is actually more absurd than the old version. Although it might be remotely possible for an engineer to have mistaken a gasoline engine for a Diesel engine, how could anyone possibly have mistaken "red" for "blue"? Perhaps they were all color blind – we will just have to wait and see. No doubt, we will see many more attempts by desperate men to hold together a crumbling patchwork of lies. The Diesel gas chamber claim is rubbish – apparently some of the exterminationists themselves recognize that now. However, the alternate claim that gasoline engine exhaust was used instead is rubbish also. P.S. Myers, "Automobile Emissions – A Study in Environmental Benefits versus Technological Costs," Society of Automotive Engineers Transactions Vol. 79 , Section 1, paper 700182, p. 662. Rauff is now residing in Chile where he is pursued by the likes of Simon Wiesenthal and Beate Klarsfeld – A recent attempt by the ADL in the U.S.A. and by others to have him extradited to Israel was denied by the Chilean government because of Chile's statute of limitations and because of Rauff's faultless behavior in Chile. See, for example, his testimony before the Darmstadt court from 6 June 1950 which appears in Saul Friedländer, Counterfeit Nazi: The Ambiguity of Good [London: Weidenfeld and Nicolson, 1967], p.18. For a thorough discussion of the kind of mad dilemma confronting any German who was even remotely connected with the concentration camps – Treblinka, Belzec and Sobibor were actually transit camps rather than concentration camps – see the article by W.B. Lindsey.